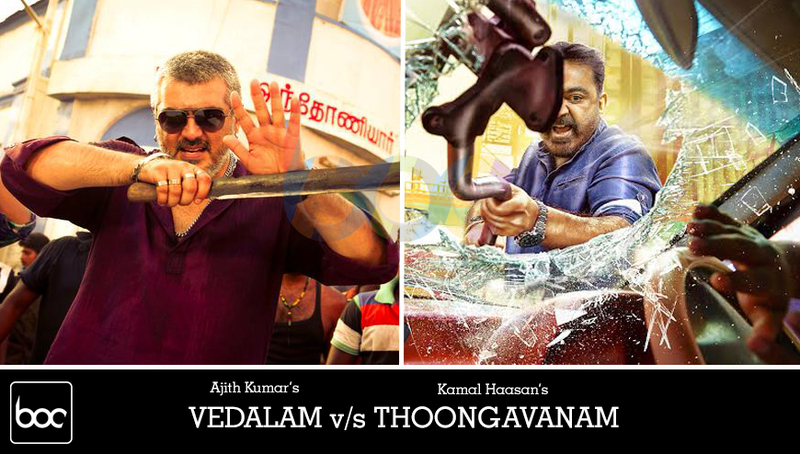 This week box office has witnessed the clash of two superstars from Kollywood, Kamal Haasan & Ajith Kumar. Both have very fan following among audience in India. That is the reason behind such great excitement of viewers towards both the action thrillers, Ajith’s Vedalam & Kamal Haasan’s Thoongavanam. Both are getting overwhelmed response from audience, despite of heavy rain in some parts of the state Tamil Nadu. Thala Ajith Kumar starrer Vedalam has released on 520 screens in Tamil Nadu and recorded more than 80% of occupancy on the first day. It has minted the amount of 15.50 crores as its opening day collection. With this figure, it has become the highest opener in the history of Kollywood. On the second day, as expected the movie has faced considerable drop and done the business of approx. 10 crores. Till the end of its second day, total collection of Vedalam is calculated as 25.50 crores at TN box office. 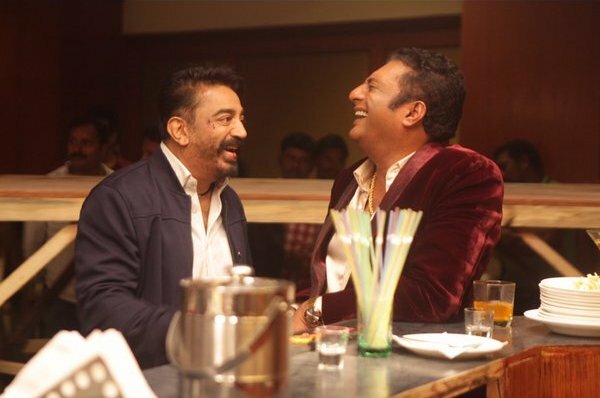 The second one, Kamal Haasan starrer Thoongavanam has released on 370 screens in the state Tamil Nadu and recorded the overall occupancy of 70% on its first day. It has minted the amount of 9 crores as its opening day collection and received very positive reviews from critics. On the next day, it faced drop of more than 50% in its occupancy but still managed to collect decent amount of 4 crores at TN box office. Till the end of day, total collection of this action thriller is recorded as 13 crores. On the third day, both movies have faced more drop due to the release of Salman Khan starrer family drama Prem Ratan Dhan Payo in Tamil language along with Hindi & Telugu. 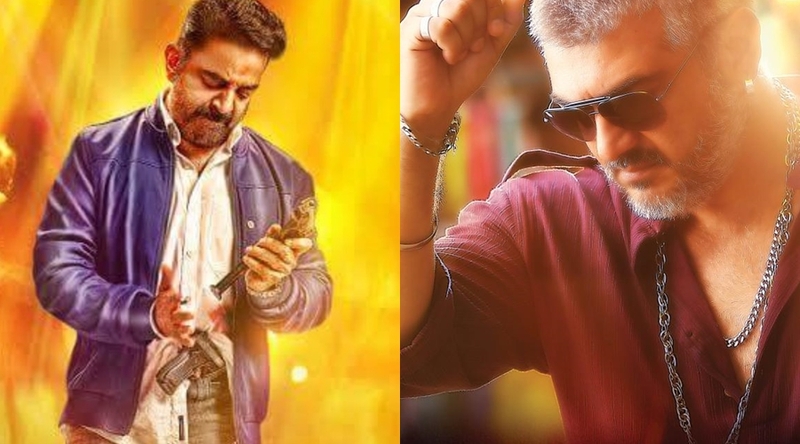 On Thursday, Vedalam & Thoongavanam have reported the collection of 8.5 crores* & 3.25 crores* respectively.